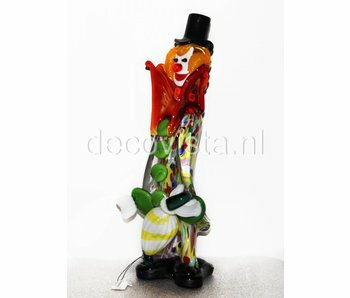 Handmade clown with guitar, shaped by the Italian glass masters. This is a unique piece and comes with a certificate. Height 20 cm. 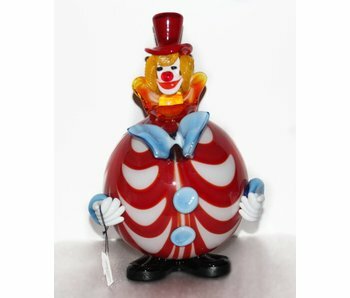 Clown with round belly, made of Murano glass, detailed shaped by the Italian glass experts. This is a unique piece of art and comes with a certificate. 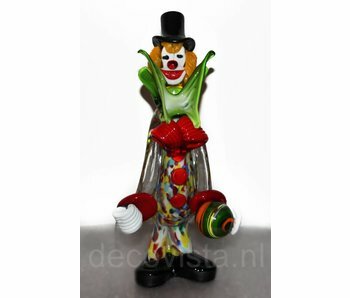 Clown with round belly, made of Murano glass, detailed shaped by the Italian glass experts. 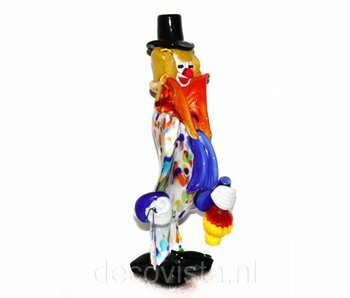 This is a unique piece of glass art and comes with a booklet/certificate. 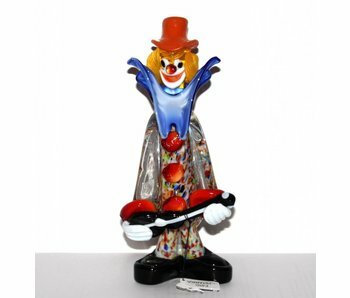 Murano glass has always represented a synonym of elegance and good taste, but not many people know the real milenary story of its fascinating and current nuances. Murano glass boasts a milenary tradition as the first document that provides evidence of an active glass workshop in Murano dates back more than one thousand years ago, precisely in 982. In the middle ages, the art of Murano glass, the heir of Islamic and Byzantine traditions, was characterized by the high level of its production. Between the thirteenth century and the fourteenth century the most important families from Europe had ordered beautiful art objects from important Murano's glass workshops, still to be found in museums. With the use of numerous and simple iron equipment, the glass experts model glass with skills and accuracy that no school could ever teach. Just like in an ancient medieval laboratory, youngsters can learn the techniques and the art from old experts. 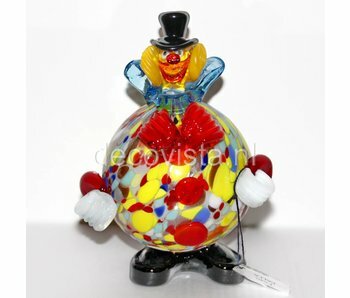 The roots of Murano tradition lie in the strong desire to enhance the ductility of glass and its possibility of being blown and shaped, therefore giving vent to the fantasies of experts, that cannot be compared with any other materials. During the last century this historical and artistic heritage was enhanced with the production of important pieces that were inspired by the history of Murano glass, also combining new techniques and solutions that give each piece the possibility of integrating with the environment with a strong sensation of class and taste. Each piece, the result of careful and laborius historical research, is destined to be re-evaluated in time and in reality it presents a unique piece as it has been made excusively by hand without the help op moulds and modern equipment.